A team of experts from Nara National University has discovered about 180 artefacts inside a centuries-old statue of Bodhisattva Manjusri, also known as Monju Bosatsu in Japan. The statue is just 73 centimetre tall and is thought to be more than 700 years old. 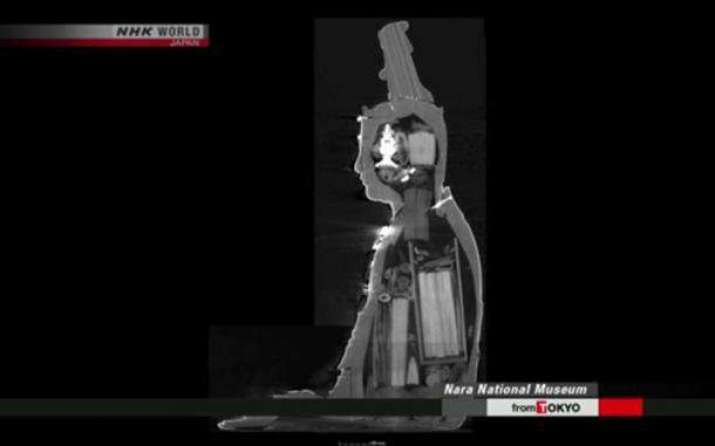 The statue used to be housed at Hokke-ji Temple in Nara in Nara, the capital of Japan’s Nara Prefecture, but is now on display at the Nara National Museum until 27 May.